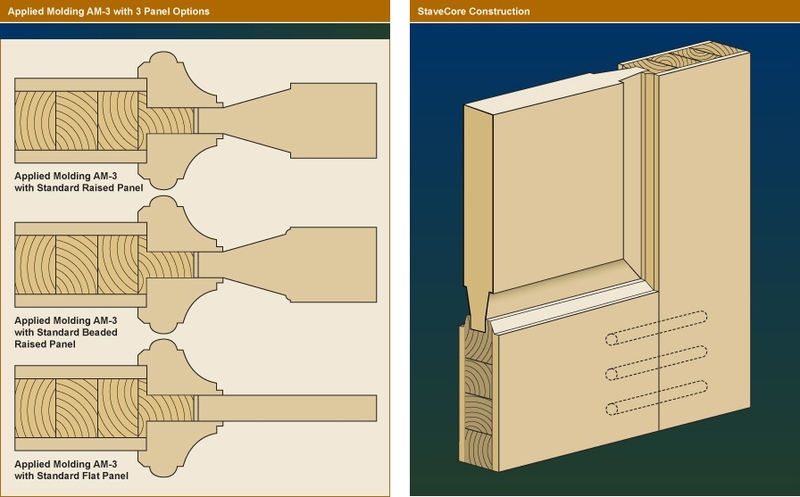 Sticking/Moulding and Panel Configurations – Somerset Door & Column Co.
Wood doors offer a wide variety of possible molding and panel profiles. Somerset Door & Column Co. has many standard profiles for sticking, raised moulding and raised panel profiles. 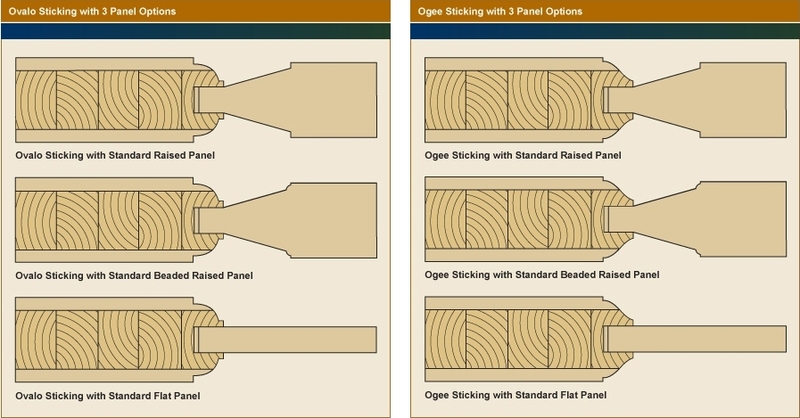 Sampled below are the most popular sticking profiles (ovalo, ogee, beveled and square), panel profiles and Bolection Mould. 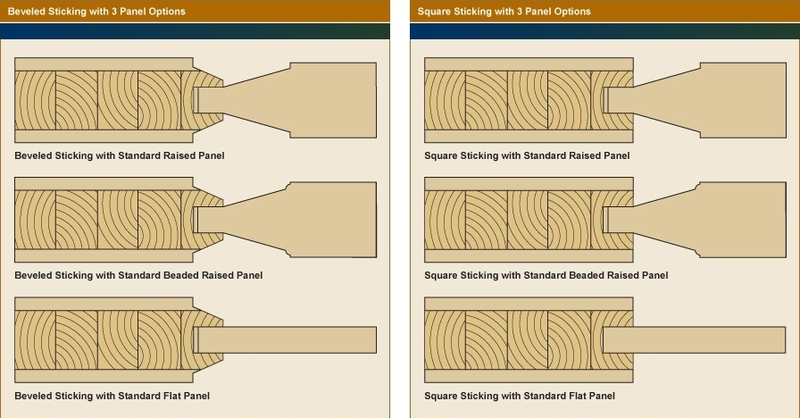 Additionally, nearly any sticking profile or raised panel profile can be matched. Cope & stick construction using dowel pins with waterproof glue provides superior structural integrity on all SDC doors. Panel thickness will vary depending on the door thickness requested. Applied Mouldings also know as Bolection Mouldings provide a higher level of detail with the illusion of more depth. The on-site profile grinder allows the creating of custom knives in nearly any configuration. Somerset Door & Column Co. has fully custom machining capabilities to fabricate profiles to nearly any specifications provided to SDC. The creation of any custom design can begin with a photo, drawing or CAD file. Ask about assistance in creating unique custom designs.